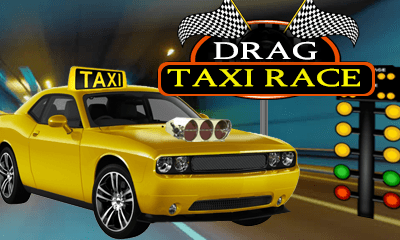 "Drag Taxi Race" the most addictive Taxi racing game! Drag Taxi Race is a racing game. There are two Taxi one is for the player and another is for the enemy taxi enemy Taxi is running with a constant speed but to increase the speed of player taxi there is gear concept.you can increase the speed of the player taxi using gear.the taxi which will reach the finishing line first will win. There are so many levels so enjoy this game it is absolutely free. Features: - Endless world to play - Amazing controls - Hours of FUN FOR FREE! - Beautiful Graphics GAME-PLAY:- One of the most addictive and entertaining driving game ever made! And it's free!